Look what I snuck into my studio! It's the Husqvarna Viking Tribute 140C! I love it! 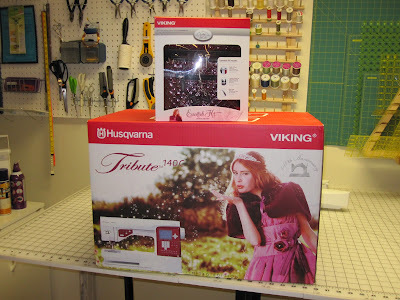 It's great to have a second machine to sew on while my embroidery machine is going. I have been saving my money from all the bags I've sold and other sewing things I've made money from. 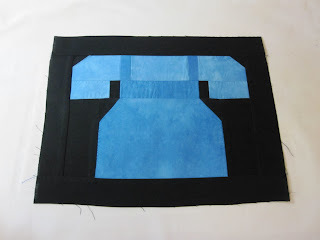 Next I need to save for a long-arm sewing machine!!LOL! Like that would ever happen! Here is what I have been working on with my new Tribute machine. This is going to be a small quilt for the small quilt auction at the October Quits on the Grand Quilt show. Today I also start my new full time job, so I'll have less time to play in my studio. I'll keep you updated.